Remember this? It made a fab lunch with some bacon and onion bread and lettuce. Throw all of the above into a big bowl and give it a stir! 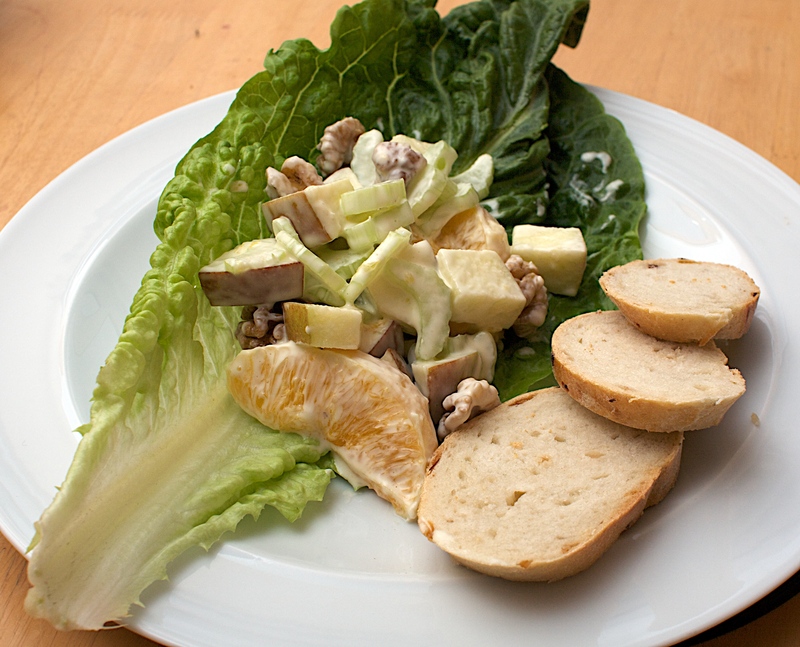 Serve in a cos lettuce leaf with some nice bread.